For senior B2B marketers, social media has the potential to be the most valuable tool in their marketing toolkit. It has become a complete game-changer and has hugely transformed the way we do marketing. Social media is increasingly allowing us to present our messages to the right audience at the right time in new and exciting ways. With its changeable nature and fast-paced growth, there has never been a better time to be on social – it’s the ideal opportunity to embrace the opportunities social media advertising offers. Here, we’ll be focusing our attention on LinkedIn – a 400 million+ members’ social media site that has transformed the professional networking landscape, and importantly to us, how we market to an audience of professionals. 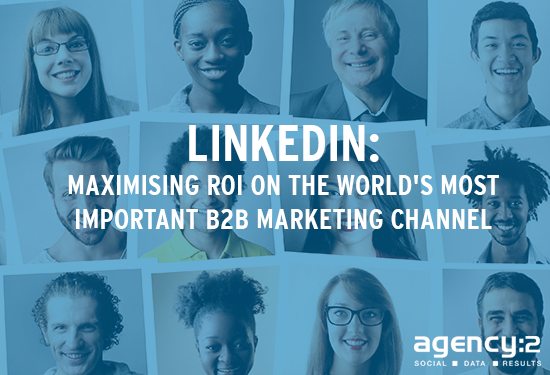 An astounding 80% of B2B marketing leads come through LinkedIn. So why don’t more B2B marketers embrace this platform and take advantage of all the benefits it offers? LinkedIn is frequently overlooked as a social channel because it is often thought of one of the least user-friendly and engaging, for example compared against Facebook or Snapchat. However, despite its reputation, LinkedIn in fact offers a wealth of opportunities for social media advertising by allowing advertisers to connect with a specific audience that differs to those on other networks – one with a higher proportion of professionals, influencers, business executives and key prospects. With exciting updates to the platform being introduced all the time, we have created an infographic to show just how far the platform has come since its launch in 2002. We truly think it has had an impressive history, don’t you? LinkedIn is one of the few social media marketing platforms that allows marketers to target professional people. In addition, it offers very accurate targeting data which is updated by actual users; therefore, it’s in a user’s best interests to keep their data current so they can use LinkedIn as a professional marketing tool. We recently compared targeting criteria amongst networks (see here)and rated LinkedIn very highly based on our experience from working with global brands such as JLL and Worldpay. The LinkedIn ad manager dashboard offers a wealth of data to measure and refine advertising campaigns. Feedback on audience engagement is much more detailed than what is offered on other platforms. Pixels can be added to websites which allows tracking of conversion rates, for example how many people have purchased a product online, added a product to their shopping basket or requested additional information about a service. When marketers are under pressure to demonstrate ROI, this is a beneficial tool to prove social media results. Sponsored updates (LinkedIn’s most popular advertising method) shown in users’ newsfeeds are relatively expensive compared to advertising on Twitter and Facebook; however, they perform very well, with high engagement rates as a result. The actions taken in response to advertising on LinkedIn are also more valuable compared to actions taken in response to advertising on other platforms. This is because people are in a business frame of mind when on the network, thinking of work-related challenges and service needs. Therefore, if they click on something they are more likely to be truly interested, rather than just browsing for distraction, as is so common on other platforms. Sponsored updates can attract new additional followers to a company page, offering wider organic reach for company updates. Yes, it takes a long time to build a following for a company page and significant internal resources to make it work well (e.g. employees sharing and interacting with content and thought leadership type content by senior colleagues) – but it’s worth the time investment due to the quality of the audience. What is next for LinkedIn? In the near future, LinkedIn will be rolling out new video features for all users, allowing them to natively upload videos onto the channel via the mobile app. Currently, only LinkedIn influencers have been given the ability to create video content; over 500 Influencers have been invited to create video content sharing their insights on professional topics and news. LinkedIn does not currently serve video ads on the platform, and perhaps the next step following the development of native video content sharing is the ability for advertisers to promote their own video content. This will likely attract new and different brands across various industries to advertise on the channel. Audience analytics will also allow brands as well as the platform to cleverly and accurately target users with relevant video content, and with the use of algorithms such as those on Facebook, prioritise videos within its feed. As with any technology updates, it is the users who will decide what works for them and what doesn’t. Knowing that LinkedIn has access to Microsoft resources means that it’s likely that more updates will follow. We believe the future looks bright for LinkedIn! Accept there are no quick wins: Invest in advertising on LinkedIn if your audience is B2B in focus, but recognise that building a truly engaged audience on LinkedIn takes time. Have a dedicated company-wide social media strategy in place for LinkedIn – enabling strategic content creation will truly boost social media marketing reach. Engage with Likes/Comments on Company Page, and add a variety of media e.g. slide show feature to increase the appeal for your target market. Participate in niche groups for your audience. Add valuable information and provide thought leadership – secure true buy-in to this from your senior manager, as you will need their support for content creation and driving engagement via their personal profile page. We deliver LinkedIn social media advertising campaigns for the world’s leading brands. Contact us on +44 203 598 9194 to explore how we can boost your social media marketing. B2B Marketing Evolution – A History of LinkedIn. The new LinkedIn desktop experience has just been launched offering many additional features to B2B marketers. This is a great time to show how far this platform has come since its launch in 2002. We developed this visual Infographic to show the interesting history of this ever changing social media marketing channel. Many B2B brands are still playing catch up to consumer brands with the sophisticated use of social media. Traditionally B2B brands believed that if they were not selling a service directly to consumers social media had little worth. However, it only took a few progressive thinking companies to quickly prove that this was not the case. This initial reluctance of many B2B brands to embrace social media has up to now resulted in the vast majority of B2B brands having an undeveloped social media strategy. However, at agency: 2 we foresee that 2013 will see a rise in the number of B2B companies focusing on enhancing their social media presence. We believe that social media can provide as much, if not more, benefit to B2B companies. Many B2B companies are already effectively using social media for recruitment purposes and exploiting the benefits of LinkedIn. However, social media has far more potential to reach into all areas of B2B. Social media is all about building relationships and connecting people, a process that is just as important in B2B companies as consumer brands. After all, it is still the people that are the heart of any business and individuals that drive decisions. Social Media is also a valuable tool for companies wishing to gather and share data. This data could be key market trends, or having a clear insight into what their competitors are doing. Furthermore, for global B2B companies social media can provide the perfect tool for collaboration across different departments, or markets. Social media enables companies to establish themselves as clear experts in their fields. Through Twitter, blogs and specialist forums B2B companies can attract new business by ensuring that what differentiates their company from competitors is made clear. In 2013 we will see B2B companies begin to harness the power of social media and at agency: 2 we are excited to be involved in helping B2B brands continually push the boundaries of social media. Over 600 million Facebook users, around 200 million people on Twitter (with 25 billion Tweets sent in 2010), 5 billion photos hosted by Flickr and over 150 million blogs – it seems very clear that almost all internet users now interact with social media and that it has had a huge impact on how brands can communicate with people. However, in order to utilise social media platforms in the most effective ways, it’s vital to segment and target your audience and gain a clear understanding of how these different groups interact with social media. Classifying user behaviour – frequency of use, variety of use and content preferences – into meaningful categories ensures that brands can maximise their social media presence. The Spectator is a passive type of social media user who is content to simply view the information that they are interested in without a high amount of interaction on their part. This group has a ‘just’ kind of attitude. They ‘just’ visit social networking sites and maintain their profiles. They will selectively like fan pages, only when they feel that it will bring them useful information such as special offers. They will also read the occasional blog, view YouTube videos, and in particular search for user reviews and ratings when making purchase decisions. Despite their lack of interaction they will expect brands to have a presence and will be disappointed if they don’t. They are spectators – but spectators who expect a lot. The Connector likes social media because it’s very convenient to connect with people. They allocate significant time every day on social media sites to look around and comment on their friend’s status, chat and interact with brands. In this way marketers can understand their personality and easily target them. 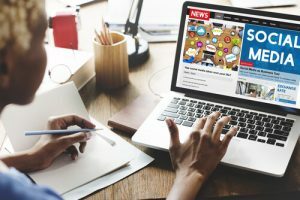 They will engage and share their views if they are passionate about the brand (or if prompted by engaging content), but they won’t take the lead. They will enter competitions, they’ll tag photos on Facebook, post comments, reviews and ratings of products and services, comment on some blogs and forums and will use LinkedIn as a tool to broaden their professional network. They may have a Twitter account where they will follow more than participate (this explains why 90% of Tweets are written by 10% of Twitterers) and will have probably created a blog but long since forgotten about it. However, there are pitfalls. These people will turn off if they are not engaged by brands – unfollow, unlike, stop listening. They know that social media provides useful tools to keep in touch, share information and find out about interesting things that are happening – more importantly they also know that social media has given them a voice and that brands need to listen to them. On most social platforms, 10% of the top content producers account for 30% of all content produced. These are the Extroverts, the creators, the people who produce social media and want everyone to know about it. This type of user will create lots of content for multiple channels. They will publish blog posts or web pages, upload videos/images/podcasts and share this content online through ever channel they have at their disposal. As early adopters they will also sign up for each new social media platform which emerges. It is these users who were the early adopters for Facebook and Twitter (interesting fact – Twitterers are 3 times more likely to be ‘creators’/’extroverts’). They will have developed large amounts of followers on these sites so it is crucial that brands try and create and nurture a relationship with these people through an outreach programme. The ability to amplify your brand’s voice through engagement with influential social media users who speak to large like-minded groups is one that can’t be missed. If you’ve ever planned an event you’ll know that it is a challenging and complex process. There’s the venue to book, speakers to sign up – and that’s before you’ve got to the promotion of the event and the task of getting people to attend. This is where social media comes in. Social media has transformed the way so many things are done, and events are no exception. Using social media to plan an event will make you realise the power these platforms can give you. It vastly enlarges the reach of what you’re doing, so that it’s not just about the people in the venue, but the thousands who could be accessing it online. Whether it’s an online or an offline event, social media ensures that all the tools you need are at your disposal to promote it, spread the word, engage with leads and make sure your event is a success before, during and after. So your event is planned. It’s now time to use social media to make sure that people know about it. Promoting your site using a variety of social media channels offers new and highly effective ways to market your event and ensures people can easily find you online. Facebook, Twitter and LinkedIn, as well as location based sites such as Facebook Places and Foursquare, are key to increasing the reach of your event and encouraging highly effective word-of-mouth promotion. There are many options, with each site offering different advantages. If you already have active Facebook and Twitter accounts in place these can be used to promote the event, update people with information and drive conversations. If not, you can set up an event specific Twitter feed for event updates; create a Facebook page to promote the event or set up a LinkedIn group to provide information about the event. Just make sure that you choose the right platforms for your objectives, your resources and your audience. Social networking sites (this includes your blog) are fantastic platforms for engagement and you should use them not only to promote your event but also to get your community to offer topic themes and discuss ideas prior to the event. Be proactive as well – join relevant groups and promote your event by contributing to existing conversations. These sites should direct people to a central hub, such as a website or blog, which can be integrated with these social networking platforms. This makes it simple to inform attendees of the latest news and provide them with all the information they need for the event. The website could feature an attendee list, with links to participants’ web sites and Twitter feeds, as well as a link to the event’s Facebook page. A link could be also be provided to a YouTube search results page providing videos that are relevant to discussions taking place. This type of activity ensures that attendees are engaged long before the event itself takes place. To make your event one that people remember there are many innovative things you can do with social media. Let’s start with the basics: don’t forget to have a unique hash tag for the event. A Twitter search widget can be used to show a real-time feed of all the posts using the specific conference hash tag. Using this hash tag gets people engaged with the event and allows you to easily monitor conversations. Most importantly it allows you to be an active participant in what is being said and drive conversations. This could be projected on to screens throughout the venue. You can also use your website to aggregate these posts in real-time before, during and after the event. Using geo-location services such as Facebook Places, Foursquare or Gowalla is another attractive option for an event. You can create a special venue on Foursquare for the event which offers tips and advice to attendees. You can also create multiple locations within the one venue so that you know exactly where people are. Plus, if you have organised a large event you can partner with Foursquare to create a badge and offer incentives for checking in. There are many other features which could be utilised to enhance your event. This could be through an audio feed, with podcasts of certain sessions being made available after the event; a live video feed of the event could be streamed on your website and seeded on relevant sites; or you could create a Flickr badge on your website which links to tagged photos. When it come to online events such as webinars, live webcasts or digital fairs it’s crucial to keep people informed. Send reminders (particularly in the lead up before the event) and make it easy for people to find by using LinkedIn Twitter and Facebook to link to the event URL. Post tweets in the build-up to the event to keep it front of mind and encourage people to send questions for the speakers or panellists. You can also stream your webcast through your Facebook page. It’s vital that after the event is over that you use social networks to engage with everyone who attended. Using social media is a great way to keep in touch with all your attendees as well as gain valuable feedback so that you can refine what you will do next time. Use the information and platforms you have to continue communication with the attendees. Thank them for attending, provide them with updates and information. You can upload the presentation from the event and write a blog post that highlights comments and questions that arose during the event. You can also upload your webinar to YouTube or embed it on your Facebook page. Again use the LinkedIn group as a platform for discussion and encourage debate. Attendees can use the group to discuss the event and topics that were raised before the event. In this way you can turn a group of attendees into a community. Finally, and most importantly, listen to your audience – ask for feedback or create polls. Follow conversations on Twitter using a unique event hashtag to find out their opinions: find out what was good and what could be improved. Address their needs and become involved in the conversations. You’ll be able to use this information to shape future events and improve the event experience for all your attendees. So, there you have it. No matter what type of event you are running, the array of options social media offers means that it is the perfect solution to promote and complement your event.